When I was 6 or maybe 7 years old my grandfather, my Poppy Roy, took me to Toys R Us to pick out a Chanukah gift. Quite an exciting moment for a young boy to walk through the massive aisles of the Green Acres store with his grandparents checkbook there to connect him with a singular item of his dreams. This being the pre-PED scandal that rocked the 90’s, I was a He-Man guy that year. He was heroic, strong and got to run around in his underpants. I had quite a set to complement my brothers, until he absent-mindedly left it at a local park, but that’s a story for another day. Anyhow, I chose with my infinite wisdom to recieve Snake Mountain, Skeletor’s lair. I remember unboxing it on Chanukah, shredding my Gigi’s careful wrapping in seconds. I tore open the box and found what I recall to be a big plastic shell. From the moment I opened it, I was more interested in playing with the box then lame Snake Mountain. It was hardly as cool as advertised, but what is? 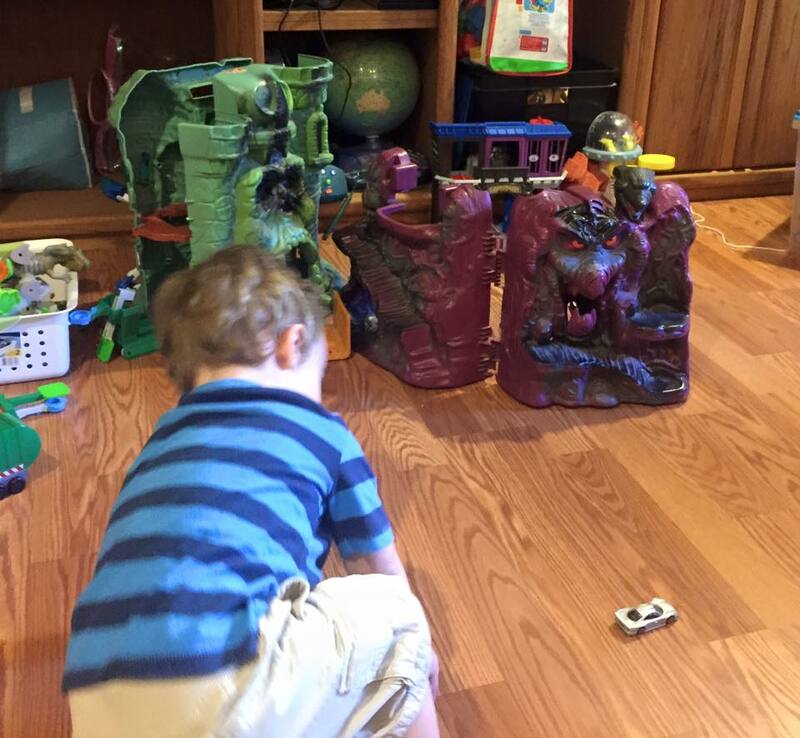 Snake Mountain quickly moved to the basement and then to the back of the closet to be forgotten. But Poppy didn’t forget. He wanted to share in the joy he’d opened his wallet for. He did not force me to play nor raise his voice. But next Chanukah, when selecting my gift he politely inquired “This isn’t another Snake Mountain, is it?” And so it went, every time he bought me anything for the rest of his life; 15 great years. When I was old enough to have and spend my own money, he’d ask me the same question. My father, never one to spend indiscriminately, became fond of asking as well. Suffice to say that whenever I consider a big purchase, I ask myself whether or not this is going to be another Snake Mountain. My wife asks me the same question sometimes, a subtle hint that inevitably conveys both warm memories and the arresting sensation of three generations of frugality. Ahh, Snake Mountain.